Fujita S, Wang X, Kita K, Koike T (2018). Effects of nitrogen loading under low and high phosphorus conditions on above- and below-ground growth of hybrid larch F1 seedlings. iForest 11: 32-40. 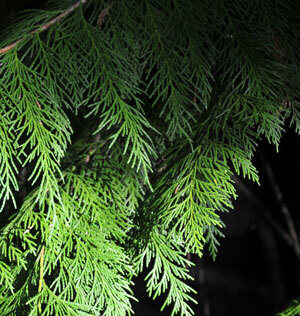 Under present environmental conditions, hybrid larch F1 (Larix gmelinii var. japonica × Larix kaempferi) is a promising afforestation species as it has a high growth rate and tolerance against grazing damage, disease and cold. However, the input of nitrogen (N) to forests due to the increase of anthropogenic N is causing imbalances of N compared to other nutrients, especially phosphorus (P), thus affecting the root growth of healthy seedlings. However, knowledge on how different N and P conditions affect F1 root growth is still limited. In this study, various N (3 levels) and P (no addition and addition) conditions were imposed to investigate the effect of N loading on larch F1 seedlings under different P conditions. Needle N: P ratio, aboveground growth, belowground growth as well as fine root production were measured. The results showed that needle N: P ratio was higher under low P loading, and aboveground growth of seedlings increased with N loading at both low and high P conditions. Relative fine root production was decreased by N loading. On the other hand, fine root to total dry proportion was increased by N loading at no P addition, suggesting that limited P availability could increase fine root production. Total root proportion to total dry mass was decreased by N loading at both P conditions. We concluded that N loading has different effects on above- and below-ground growth of larch F1 and its effects may also differ according to P conditions, indicating that both N and P conditions should be carefully considered when planting hybrid larch F1. Long-term investigations of larch forests in cryolithic zone of Siberia: brief history, recent results and possible changes under global warming. Eurasian Journal of Forest Research 5: 95-106. Nitrogen saturation in northern forest ecosystems. BioScience 39: 378-386. Is nitrogen deposition altering the nitrogen status of northeastern forests? BioScience 53: 375-389. Relationships between fine root dynamics and nitrogen availability in Michigan northern hardwood forests. Oecologia 125: 389-399. Growth of Japanese and hybrid larch seedlings grown under free-air O3 fumigationâan initial assessment of the effects of adequate and excessive nitrogen. Journal of Agricultural Meteorology 71: 239-244. Biological stoichiometry of plant production: metabolism, scaling and ecological response to global change. New Phytologist 186: 593-608. Assessment of the exposure and loads of acidifying and eutrophying pollutants and ozone, as well as their harmful influence on the vitality of the trees and the speulder forest ecosystem as a whole. Water, Air, and Soil Pollution 105: 539-571. The nitrogen cascade. American Institute of Biological Sciences 53: 341-356. Nitrogen cycles: past, present, and future. Biogeochemistry 70: 153-226. Transformation of the nitrogen cycle: Recent trends, questions, and potential solutions. Science 320: 889-892. Through form to function: root hair development and nutrient uptake. Trends in Plant Science 5: 56-60. Larches: deciduous conifers in an evergreen world. BioScience 40: 818-826. N: P ratios in terrestrial plants: variation and functional significance. New Phytologist 164: 243-266. Plant root growth, architecture and function. Plant and Soil 321: 153-187. Impact of long-range transport of aerosols on the PM2.5 composition at a major metropolitan area in the northern Kyushu area of Japan. Atmospheric Environment 97: 416-425. Estimated amount of carbon accumulation of hybrid larch in three 31-year-old progeny test plantations. Journal of Wood Science 55: 425-434. Process of larch plantation in northern Japan and development of hybrid larch (F1) for overcoming biological stresses. In: Proceedings of the “International Congress on Forest Bio-Resources”. Khabarovsk (Russia) 21-24 Sept 2004. Forest Research Institute of Far East, Khabarovsk, Russia, pp. 57-63. Forest heath and vitality in northern Japan - A case study on larch plantation. Research Note of Faculty of Forestry, The University of Joensuu, vol. 92, pp. 49-60. Effects of nitrogen and phosphorus supply on growth and physiological traits of two Larix species. Environmental and Experimental Botany 130: 206-215. Plant architecture and plant productivity. Plant Physiology 109: 7-13. Topsoil foraging - an architectural adaption of plants to low phosphorus availability. Plant and Soil 237: 225-237. Ecosystem response to 15 years of chronic nitrogen additions at the Harvard Forest LTER, Massachusetts, USA. Forest Ecology and Management 196: 7-28. Ecophysiological study on the growth responses of larch species to changing environments - Effects of elevated CO2, O3, and high nitrogen loading. PhD thesis, Graduate School of Agriculture, Hokkaido University, Sapporo, Hokkaido, Japan, pp. 118. High nitrogen deposition may enhance growth of a new hybrid larch F1 growing at two phosphorus levels. Landscape and Ecological Engineering 10: 1-8. Heterosis in hybrid larch (Larix decidua × leptolepis). Trees 1: 225-231. Forests under climate change and air pollution: gaps in understanding and future directions for research. Environmental Pollution 160: 57-65. Superior characters of the F1 hybrid Larix gmelinii × L. kaempferi and the growth gain in full-sib family selection. Forest Tree Breeding 33: 7-12. Measurement of litterfall in a Japanese Larch (Larix leptolepis Gordon) plantation by the cloth-trap method. Journal of the Japanese Forestry Society 70: 11-19. The potential effects of nitrogen deposition on fine-root production in forest ecosystems. New Phytologist 147: 131-139. Photosynthetic response of Pinus densiflora seedlings to high nitrogen load. Enviromental Science 9: 296-282. Specific root length as an indicator of environmental change. Plant Biosystems 141: 426-442. Human-induced nitrogen-phosphorus imbalances alter natural and managed ecosystems across the globe. Nature Communications 4: 2934. Ecophysiological study on the natural regeneration of the two larch species with special references to soil environment in larch forests. Eurasian Journal of Forest Research 19 (1): 1-51. Global patterns of plant leaf N and P in relation to temperature and latitude. Proceedings of the National Academy of Sciences USA 101: 11001-11006. Foliage, fine root, woody-tissue and stand respiration in Pinus radiata in relation to nitrogen status. Tree Physiology 16: 333-343. Ecophysiological responses of the larch species in northern Japan to environmental changes as a basis for afforestation. Landscape and Ecological Engineering 5: 99-106. Fundamental studies on the root growth of trees in Hokkaido. Bulletin of the Hokkaido Forestry Research Institute 31: 1-54. Paternal inheritance of chloroplast DNA in Larix. Plant Molecular Biology 9: 59-64. Distribution and classification of volcanic ash soils. Global Environmental Research 6: 83-97. Elevated CO2 and conifer roots: effects on growth, life span and turnover. New Phytologist 147: 87-103. Ozone impairs autumnal resorption of nitrogen from birch (Betula pendula) leaves, causing an increase in whole-tree nitrogen loss through litter fall. Tree Physiology 26: 113-120. Changes in litter quality caused by simulated nitrogen deposition reinforce the N-induced suppression of litter decay. Ecosphere 6: 1-16. Nitrogen and nature. AMBIO 31: 97-101. Terrestrial phosphorus limitation: mechanisms, implications, and nitrogen-phosphorus interactions. Ecological Applications 20: 5-15. Fine root turnover of Japanese white birch (Betula platyphylla var. japonica) grown under elevated CO2 in northern Japan. Trees 30: 363-374. Growth and photosynthetic traits of hybrid larch F1 (Larix gmelinii var. japonica × L. kaempferi) under elevated CO2 concentration with low nutrient availability. Tree Physiology 31: 965-975. Short-term nitrogen (N)-retranslocation within Larix olgensis seedlings is driven to increase by N-deposition: evidence from a simulated 15N experiment in northeast China. International Journal of Agriculture and Biology 16: 1031-1040.